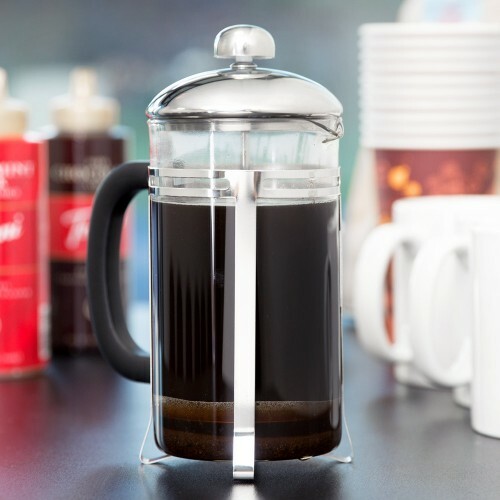 Designed to capture concentrated flavors and prepare coffee in its "purest" form, the french press is an essential kitchen item for those seeking to deliver an authentic, flavorful experience for guests and customers. With this innovative device, the coffee's natural oils wash away easily and leave no residue in the pitcher, unlike most automatic brewers. Incredibly easy to use, simply add coarse coffee grounds to the bottom of the unit and add hot water. (For best results, warm the glass by swirling in some hot water, which is then poured out & replaced with fresh hot water and the ground coffee for the brew.) Stir with a wooden utensil and let the it steep for 3-4 minutes before pressing down slowly on the plunger and serving. 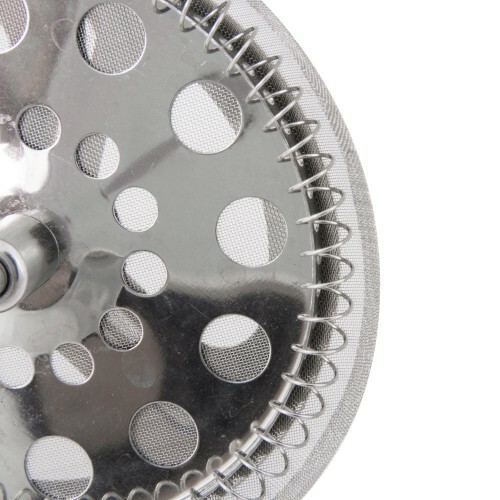 Because it's so simple to use and can produce a fresh cup of coffee without any electricity, this tool is coffee press is also a favorite of campers and other outdoor enthusiasts! This handy tool's 20 oz. capacity is perfect for providing just the right amount of coffee for a single serving or tables of 2. For restaurant use, it can provide at your restaurant. 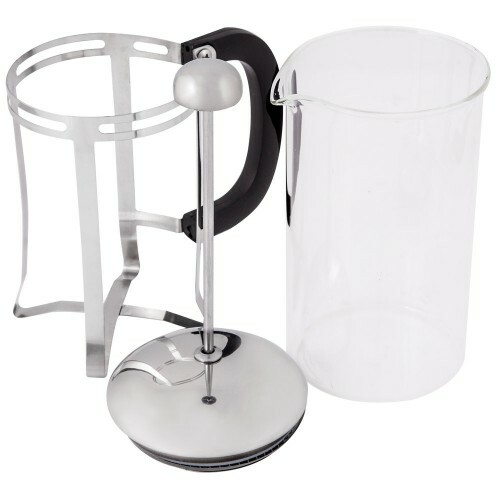 You can even use it for cold brewing coffee overnight or adding delicious brews to your specialty coffee menu. 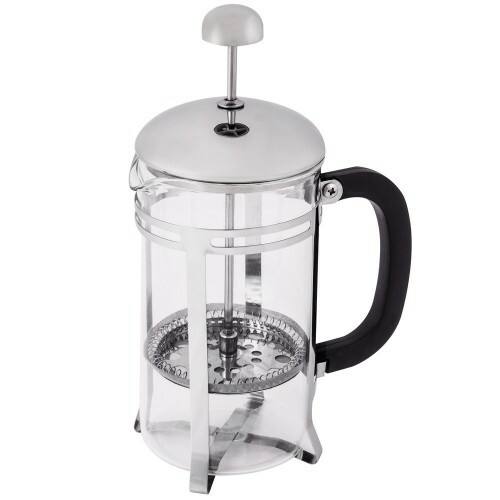 Obviously, any glass appliance can break if abused, but this french coffee press boasts a shatter-resistant and heat-resistant glass container that is securely held in place by a rugged stainless steel frame, and will give years of use with normal care. The handle is made out of a durable Bakelite material with a contoured, ergonomic design that makes it incredibly comfortable and simple to carry. Obviously, any glass product can break if abused, but this jar is constructed of heat resistant and shatter-resistant glass. With only reasonable care, it will provide years of normal use. It's 33 oz. capacity is perfect for providing just the right amount of coffee for tables of 4 or more.